Four wooded lots being sold as one w/ shared access to Lake Michigan; with 321 ft. of East Grand Traverse Bay's sandy beach and crystal waters. Great for swimming, sand castles, and sunbathing. Unbelievable sunsets. Halfway between Elk Rapids and Charlevoix in prestigious Eden Shores. 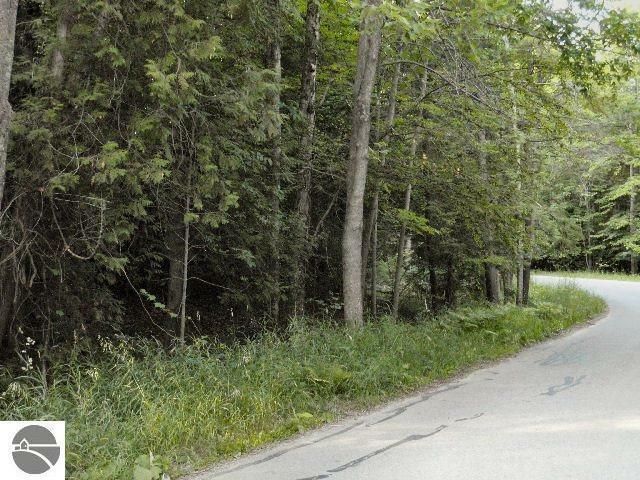 Near golf courses and Torch Lake with its access to the Chain of Lakes.